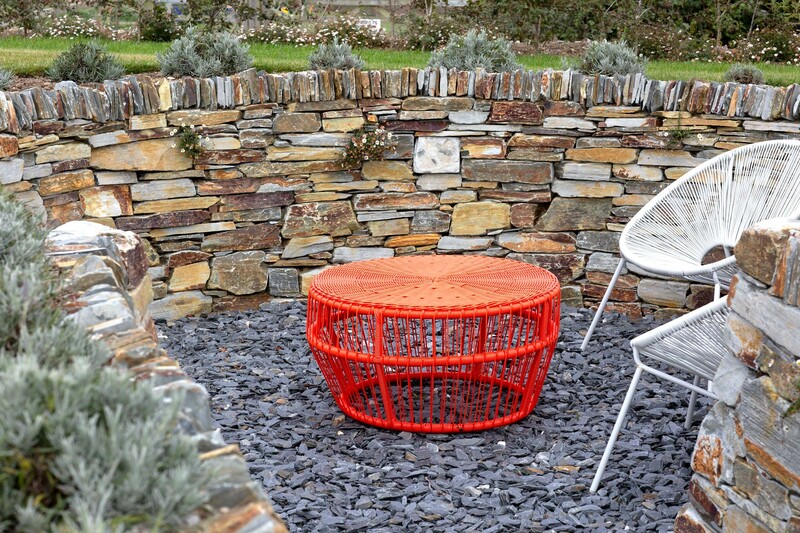 This North Cornwall coastal garden, was designed around a newly built house. 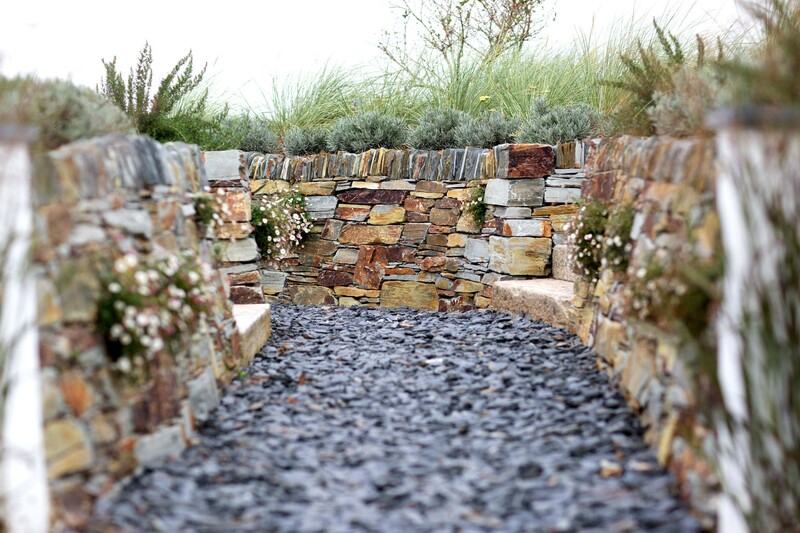 The meandering path which cuts through the lawn was inspired by the paths that sheep have cut through the gorse on the hills on the opposite side of the valley. 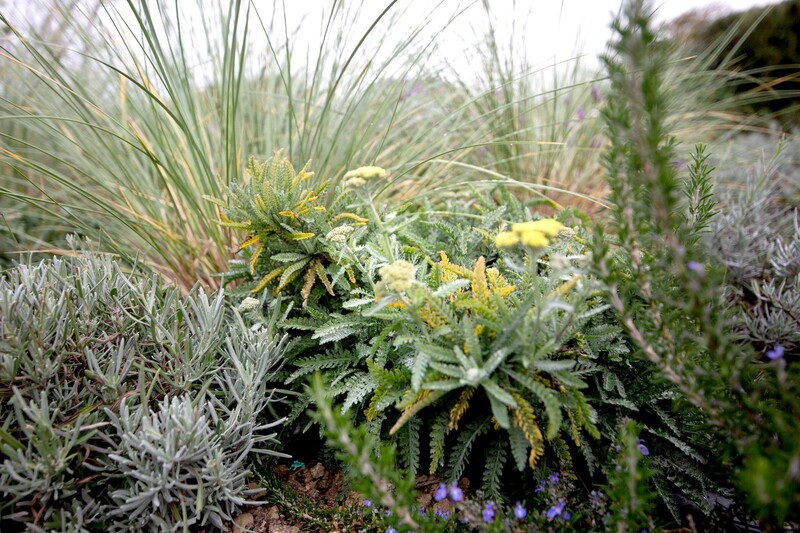 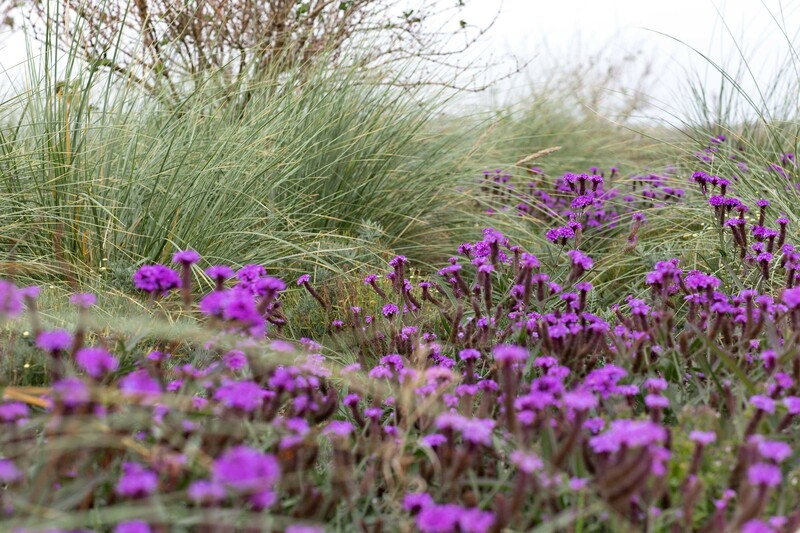 Planting has to withstand the prevailing Atlantic winds, as well as providing shelter to the sunken seating areas. 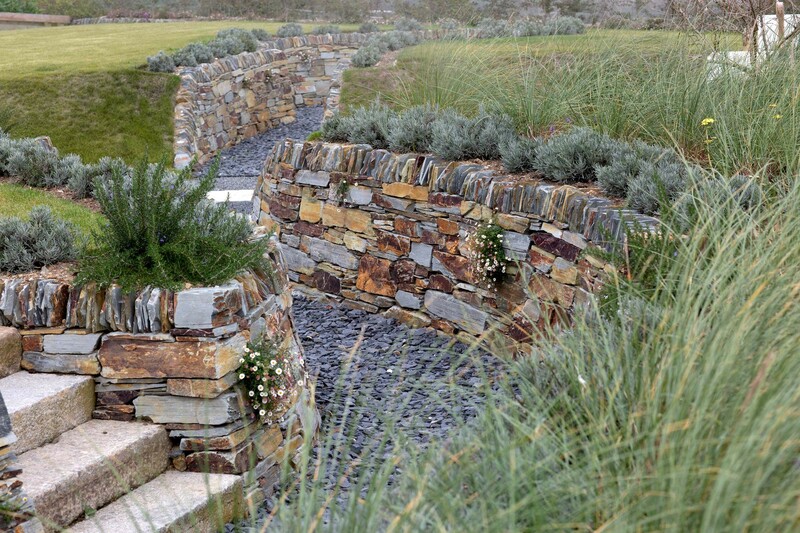 Large scale slate flagstone paving form the terrace areas with hand dressed dry stone walls retaining the upper lawns.